The European Ski School’s Off-Piste:Freeride Course is a new product this winter, taking advantage of the wonderful terrain Les Deux Alpes has to offer. 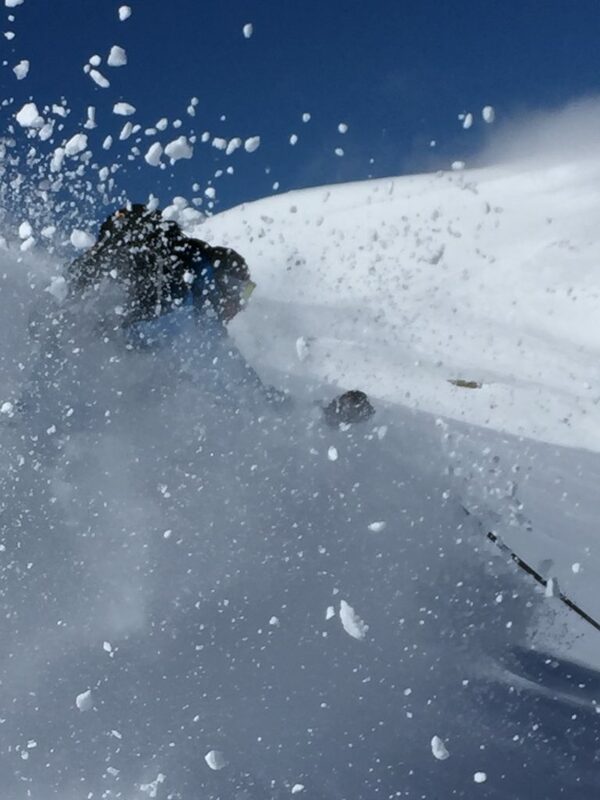 We will cover the techniques, skills and safety aspects of off-piste skiing over five full days, whilst exploring the mountain world beyond the marker posts. This course is running in conjunction with TipTop Ski Coaching. If you look at the off-piste routes on this site, you will see a small selection of the many possibilities for backcountry skiing in the area. We plan to start close to the lifts, covering the essentials of off-piste skiing in a safe environment before moving on to bigger runs such as those in the La Fee area. Towards the end of the week we will aim to tick some of the classic itineraries in the resort, as well as spending a day in the legendary La Grave (subject to weather conditions). We will cover techniques for the different snow conditions and terrain found off-piste, avalanche awareness and rescue, snowpack assessment, interpreting weather and avalanche bulletins, backcountry navigation and route choice. The aim is to help you to become more self-sufficient off-piste, whilst learning to recognise the limitations of what you can achieve safely on a given day. We do not believe in equipping people with the technical abilities to ski off-piste snow without teaching them about the risks, and the skills needed to manage those risks. 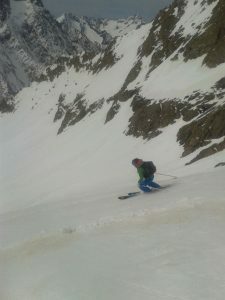 This will be an ideal introduction for good piste skiers who want to take their first steps outside the piste markers. It will also be a good refresher for those who already ski off-piste but may feel they are missing something in terms of safety or technique. For those aspiring ski instructors looking to do the BASI Level 3 Mountain Safety course but lacking off-piste experience, this will serve as a solid preparation course. The course will be delivered by BASI Level 4 ISTD Instructors who are passionate about off-piste skiing. If two groups run (i.e. if eight or more people book), the instructors will be myself and Alexandra Chapman. Otherwise one or the other of us will run the course. The course runs from Monday to Friday with six hours* of instruction per day and breaks for coffee and lunch. The cost for the week is 376 Euros, including the hire of avalanche transceiver, shovel and probe. This is the same cost per hour as our beginner courses, making it excellent value for money. *Please note that if only three people book onto the course we reserve the right to reduce the course to four and a half hours per day. If one or two people book we will offer a package of private off-piste lessons or a refund in place of the course. For more information, or to make a booking enquiry, please contact us using the form below. Your message will be forwarded to both myself and to the European Ski School. Further details can be found on the European Ski and Snowboard School website. Do you have any courses in that period for beginners? Thank you very much for your advice. Yes we do. We run morning beginner ski and snowboard group lessons every week of the season. More details at http://europeanskischool.eu/les-deux-alpes-ski-group-lessons/winter-season-ski-snowboard – click on Adults or Children to book. There are no afternoon or VIP classes that week though.